marvelous! our other harley beauty DK gets her first article ever at pipepurn magazin. amazing article and worth reading! Our friend daniel graf wrote an cool article about us in our local newspaper called "suedostschweiz". it was published at the 18th of february 2017. a big thank you to dani! finally... our beauty odessa gets her first article ever at pipepurn. amazing text and worth reading! the comments and feedbacks are really positive! thanks to everyone. a dream comes true. we have taken delivery of a brand new Indian Scout (1200 ccm)!! this raw diamond gets his polish to race this summer. The finidshed build will premiere at the Art & whees in basel on the 13th may 2017. see you there! pandora was awarded as the bike of the week from bikeexif. bikeexif is a showcase for the world's most exciting custom motorcycle. it`s crazy to be on the cover of such a well known and good magazine as mens file. inside, there is a nice six page story about who we are and what we do. sven who works for fuel has visited us in our shop and has made great pictures which he has combined with a well written article. we are very happy about that 8 page story because it gives you a great view on our way of living and working. ferdi was the bike of the week at bikeexif. bikeexif is a showcase for the world's most exciting custom motorcycle. 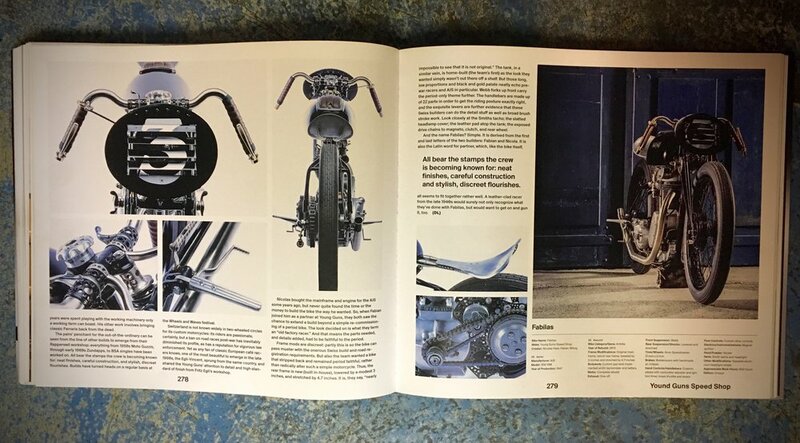 it means a lot to us, to get 10 pages of content in the bike builders bible made by maximilian funk from gestalten. craftrad nr°2 is dedicated to the youth of bike building and tells you stories about the diamond atelier from munich, us and some traveling. as hermann köpf, the writer and photographer is a good friend of us and has visited our shop and surrounding to write this article. it tells you a lot about who we are in our local surrounding , hanging out on the lake and not about being crazy at the race track. that moment when ferdinand got exposed for the first time was at the punks peak race in jaizkibel. this cover picture was taken while ferdinands first race start ever. a very nice and personal written article about our first roll-out with ferdinand the sparrow at the punks peaks race and the crazy parties at our house while wheels and waves. 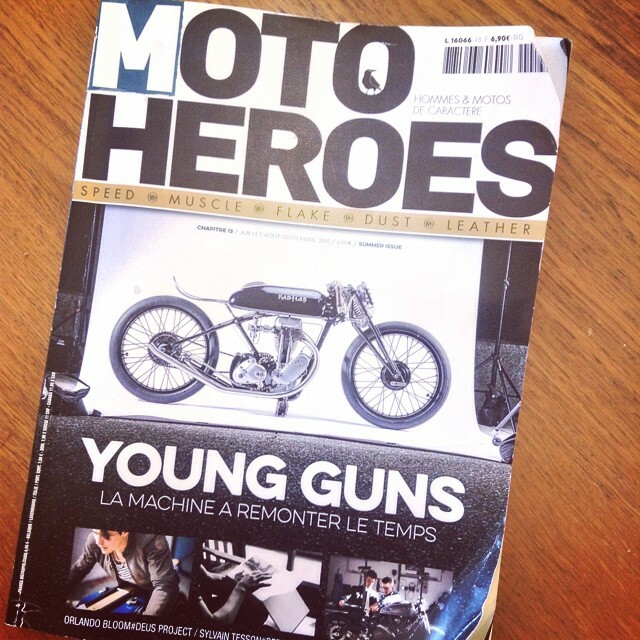 as our bike Fabilas has not been able to be displayed at the wheels and waves, we got the big honour to be on the cover page of Moto hero france of the wheels & waves edition. we sadly can`t ready any japanese, so do not know what is written. but to us it appears that it`s a story about the grizzly invitational ride out in the pyrenees together with the southsiders mc, blitz motorcycles, el solitario and so on... it was a great trip! 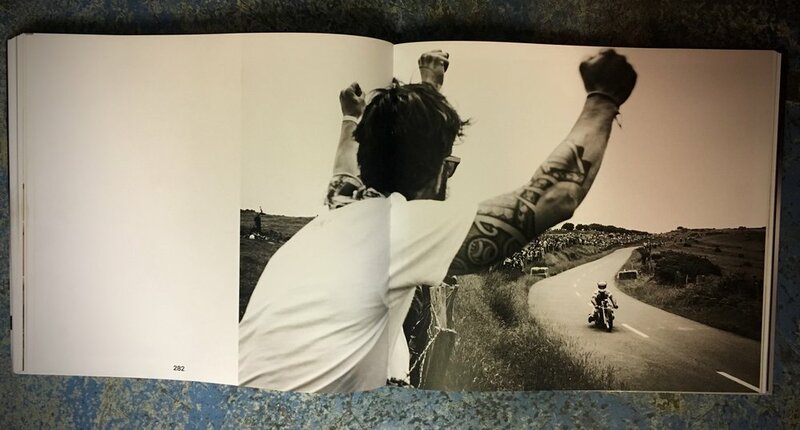 full page commercial of the W&W, showing nik while taking of at the starting line of the punk peak race. a large 8 page story about us and our latest built fabilas, including all the lads who have helped us realizing this project. a nice arty 8 page story about who we are, where we come from and what we do. 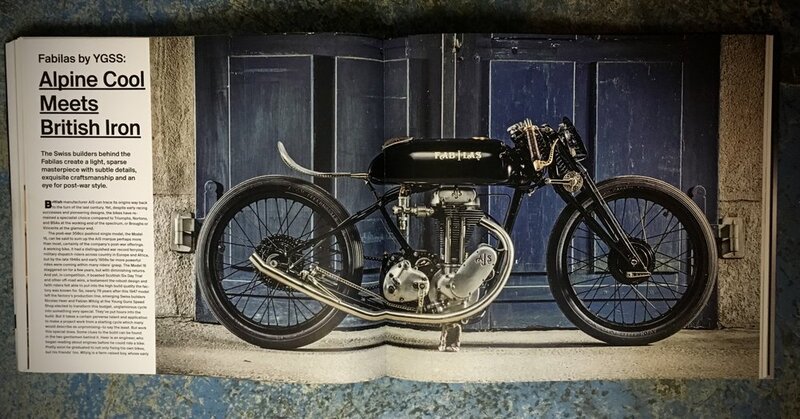 double page picture showing one of our first projects, the zundapp 50ccm. wow! we were super stoked when moto wanted to feature us and now they even put us on the cover. 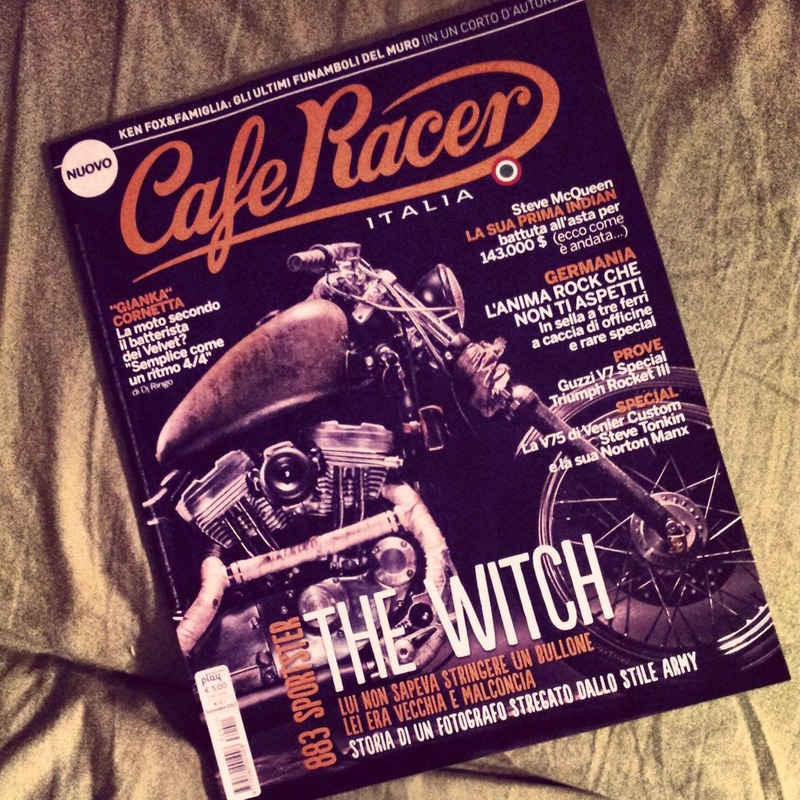 moto is the biggest motorcycle magazine in switzerland, hence it is quite a big deal for us. inside there is a big article about the young guns, our history and want we do all day long. switzerland's number one magazine had a chat with our guy nik and featured our bonnie. thank you guys! riders magazine italy featured the yg zuendapp combinette sport in their november issue. thanks a lot guys! Zurich based Hilton production used one of the Young Guns machines, the Yamaha XS650, for their upcoming podcast series featuring snowboard professional Iouri Podladtchikov. Looking good boys! in their second edition the guys from kommando magazine made a little trip to rapperswil and visited the speed shop and wrote some nice words about us. thanks!